The amazing Goldikova will lead an array of foreign invaders to the Breeders’ Cup in Louisville where they will battle America’s best thoroughbreds next month. However, missing from the group will be the awesome Frankel, the unbeaten British-bred named for the man who trained many classy horses for Prince Khalid Abdulla in America before his death a year ago. Bobby Frankel, the conditioner, won his sixth BC race with Ventura in the 2008 Filly & Mare Sprint. Frankel, the 3-year-old, could show up next fall in the Classic, but he’s through for the year, according to trainer Henry Cecil. The unbeaten son of Galileo won his ninth straight on Oct. 16 in the Queen Elizabeth II Stakes at the inaugural British Champions Day at Ascot. So Goldikova will be the invaders’ flag lady when she attempts to capture the BC Mile for the fourth straight time. She most likely will face the past two runners-up: Gio Ponti, beaten 1 ¾ lengths last year at Churchill Downs, and Courageous Cat, edged by a half-length in ’09 at Santa Anita. Horses from across the pond have been almost unbeatable in the BC Turf. You must go back to the 20th Century and ’97-98 to find consecutive North American winners. Europeans will be gunning for their fourth consecutive victory in the 1 ½-mile test while two American runners that were expected to give a good account of themselves won’t compete. Paddy O’Prado, proven grass runner who ran fifth in last year’s Classic, was retired due to a sesamoid injury suffered during his ’11 debut win in the Dixie Stakes on Preakness Day. Acclamation, the Pacific Classic champ that’s a multiple graded stakes winner on the turf, was sidelined for the remainder of the year with a foot issue. The Europeans also lost a top contender with the retirement of Cape Blanco. He captured top U.S. turf races, including Grade 1s — Man O’ War, Arlington Million and the Joe Hirsch Turf Classic — which should bring him the Eclipse Award for Champion Turf Male. One of the favorites probably will be the outstanding French filly Sarafina that grabbed three consecutive top stakes before finishing off the board in the Arc de Triomphe. Three invading distaffers will challenge the best the U.S. has to offer in the Filly & Mare Turf, including Together, who surprised a classy field in the Queen Elizabeth II Challenge Cup at Keeneland on Oct. 15, after running second in the First Lady a week earlier. Two others that might join her in the 1 3/8-mile contest are Nahrain, victorious Oct. 2 in the Prix de l’Opera at Longchamp, and Announce, a nose behind Nahrain after taking the Prix Jean Romnet. 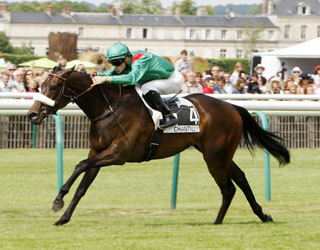 So You Think, who has won many stakes globally, will make his American debut in the Classic. It also will be his first trip on dirt and his third race in six weeks. The odds are stacked against the New Zealand-bred son of High Chaparral, but he has visited the winner’s circle at tracks in Australia, England and Ireland. Former all-star Paul Lo Duca and hall of fame trainer Shug McGaughey will appear Tuesday, November 1st at 6:30pm at the Breeders Cup Preview/Dinner and Handicapping Seminar, at Gallagher’s Steakhouse in NY. Tickets are $105, and include a 3 course steak dinner AND a round on the house. Reply to johnnycigarpr@aol.com with contact info for a chance to win an autographed Lo Duca baseball, an autographed picture of McGaughey, or if you’re interested in tickets. The event is hosted by Dave Johnson of Sirius Radio , Mark Malusis from SNY and WFAN, Anthony Stabile from Vegas Insider, and John DaSilva from the New York Post.